The Cisca Saltpipe - blue is an original patented, dry salt inhaler designed to aid breathing. The salt pipes are a simple and natural device using Halite Salt Crystals formed in Hungarian caves. 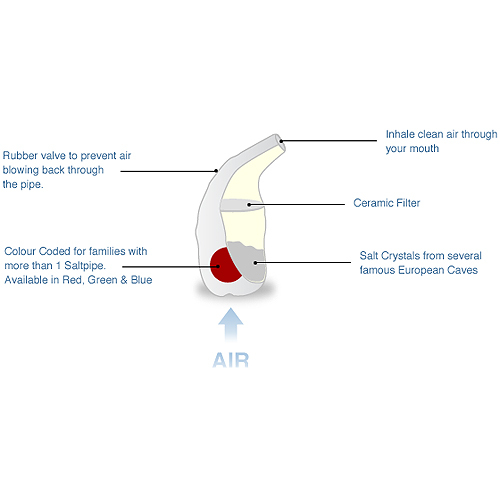 Below are reviews of Cisca Saltpipe Original - Salt Inhaler - Blue by bodykind customers. If you have tried this product we'd love to hear what you think so please leave a review. 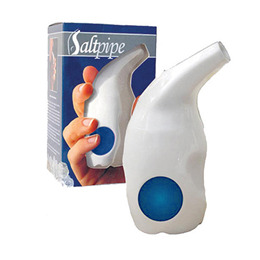 The Cisca Saltpipe blue is an original patented, dry salt inhaler designed to aid breathing. The salt pipes are a simple and natural device using Halite Salt Crystals formed in Hungarian caves.